The closing date for our inaugural competition to find Frome’s DIY-er of the Year is fast approaching. 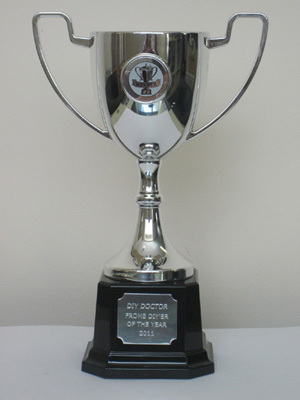 Organised by DIY Doctor and sponsored by Sergeants Ironmongers, the competition is open to residents of Frome and the surrounding area, who must live within a 10 mile radius of Frome. As reported in this week’s Somerset Standard, the live Grand Final will be held on Saturday 4th June outside Sergeants Ironmongers on Catherine Hill in Frome. Kicking off at 12 noon, the three finalists will be completing tasks in carpentry and painting which will be judged by our own Mike Edwards and Steve Cox of Sergeants. The winner will crowned Frome’s 1st DIY-er of The Year plus receive a trophy and the first prize of DIY tools worth £200. Second prize is £150 of tools and third prize will be £50 of tools. All entries must be received by 12 noon on Tuesday 31st May so there’s still time to get your entry in!